American Legend Lighters Set Of 4 | BUDK.com - Knives & Swords At The Lowest Prices! This Star lighters American Legends set of lighters is the perfect gift for the biker or motorcycle enthusiast in your family. Great lighters and they look almost identical to a $20 Zippo. The outside design is highly detailed, design stands out nicely and is firmly attached to the case. They look like you paid "good money" for them, but with "penny shipping" they cost me only $3.25 each. They work great, a flame with every FIRST strike! I would definitely recommend buying a set for yourself, or as a gift! 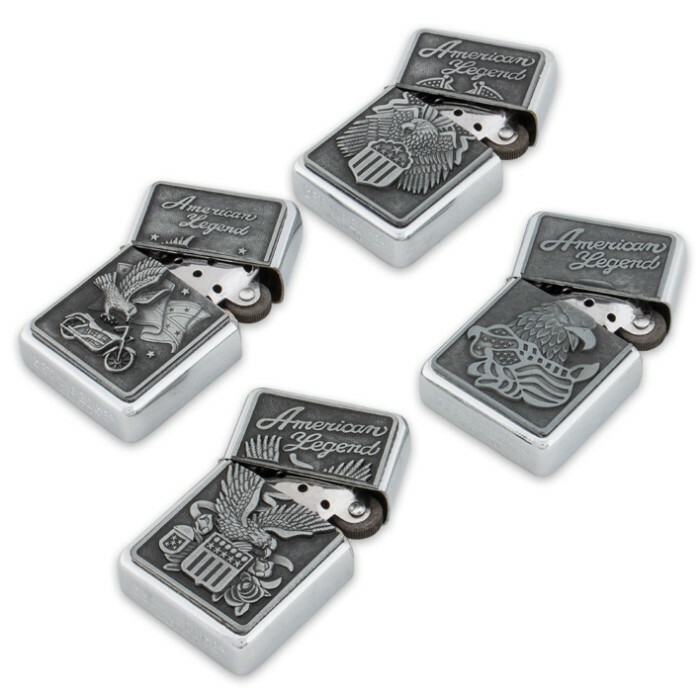 I had a collection of Harley-Davidson Zippo lighters until my granddaughter snatched them from me (she collects lighters) so I bought this set of four and was so pleased with them that I am ordering another set for my granddaughter's collection, she'll love them! 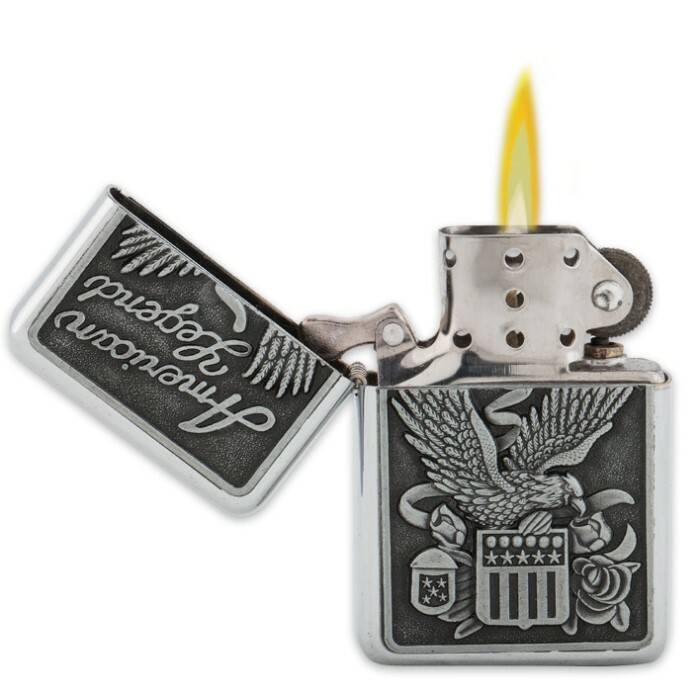 Great lighters for the money and they look identical to a Zippo and the outside design is really great and solidly attached to the case and stands out nicely. They look expensive! No way you can go wrong with this deal unless you have a kid that collects lighters, lol. Great Price on 4 lighters! Just make sure you push the reservoir tightly back into the body or it may leak! 1 of my 4 had that problem the first time I filled it! 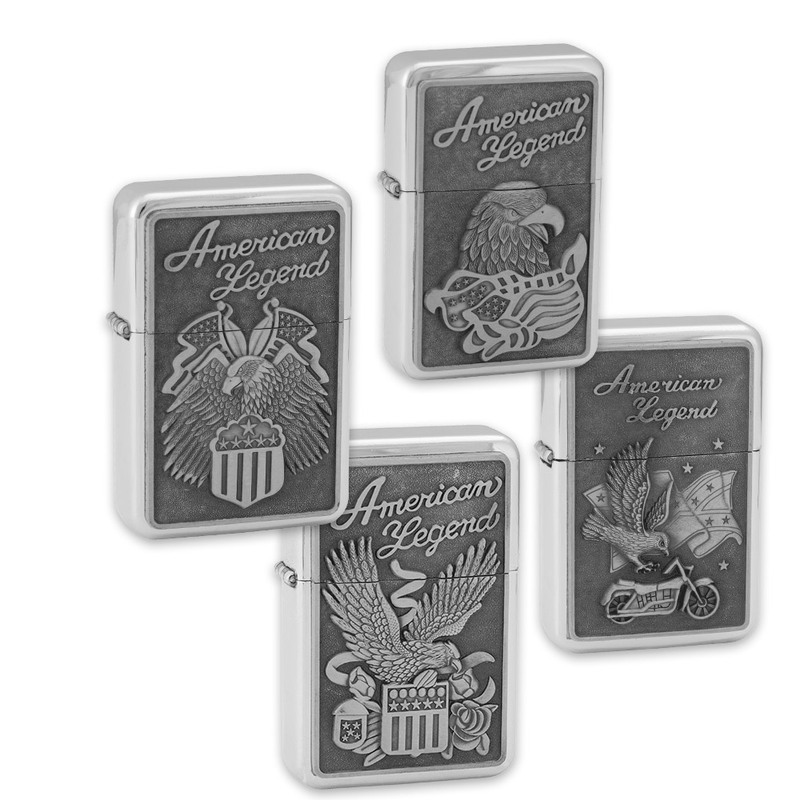 Great lighters, high quality and high detail... You get FOUR for less than 25% of the price of ONE zippo with the same quality and detail! I love these lighters. I bought them so I could give them to my dad and my brother as present, and they loved them. So do I.